What Is Chinese Five Spice Powder? In the culinary arts, five spice (also known as Chinese five spice) is a blend of ground spices used in Chinese and Vietnamese cooking. 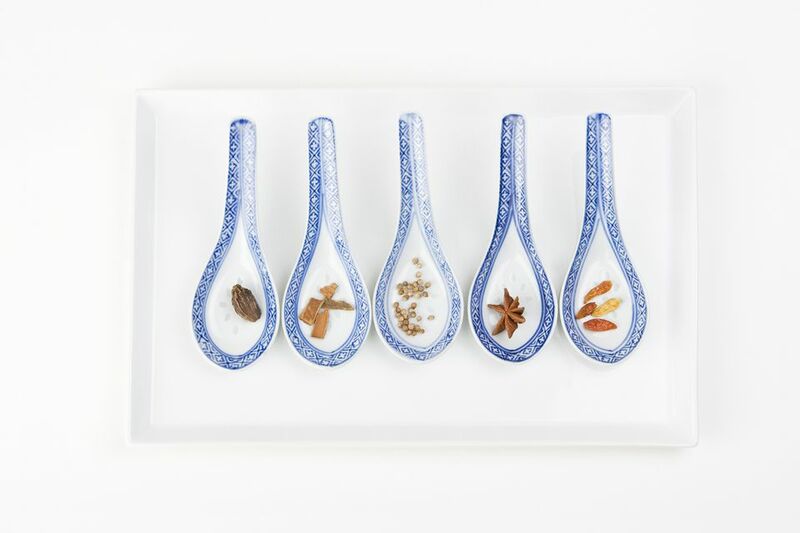 The traditional five spice is made of ground cloves, cinnamon, fennel seeds, star anise, and Szechuan pepper. This makes for a potent blend, and five spice is best used in moderation. Chinese five spice can be used for seasoning meats and poultry, in marinades or in spice rubs. Because it is also sweet and aromatic, five spice can be used in flavoring desserts as well as savory dishes. You could blend your own five spice by grinding the spices yourself in a spice grinder or coffee grinder. Unfortunately, Szechuan pepper is not widely available, although it can be found in specialty spice shops or Asian markets. Also, the Szechuan peppers need to be toasted first, which adds another step to the process. Moreover, most stores sell bottled five spice powder, so it's really not necessary to make your own, especially if you won't be using very much of it. The thing to remember with five spice powder is that its potency diminishes rapidly once the spices are ground. Thus, your five-spice powder (and indeed all ground spices) should be stored in an airtight container and away from heat (i.e., not near the stove). What's the Difference Between Spices and Herbs?